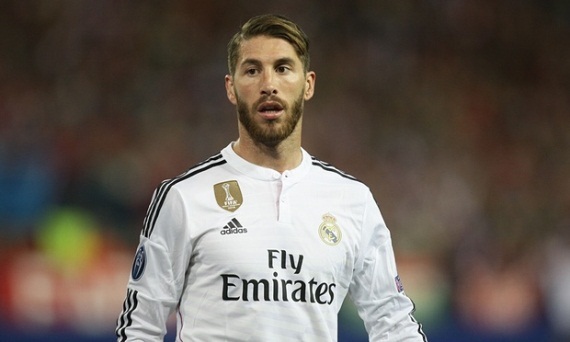 Manchester United have made a £28.6m bid for Real Madrid defender Sergio Ramos. The Red Devils believe the 29-year-old wants to leave Real after they failed to offer him an extension to his contract, which expires in 2017. The Spain international has made 445 appearances for the Bernabeu club. United manager Louis van Gaal wants defensive reinforcements to help his team improve on last season's fourth-place Premier League finish. Ramos joined Real from Sevilla in 2005 and scored their injury-time equaliser in their Champions League final victory over Atletico Madrid in 2014. He has 128 Spain caps and was in the starting line-up as they won Euro 2008, Euro 2012 and the 2010 World Cup. The Old Trafford club have also been linked with Southampton midfielder Morgan Schneiderlin, 25. Saints manager Ronald Koeman said he had "doubts" about the Frenchman's future on the south coast, but added the club is yet to receive a "serious bid" from United. 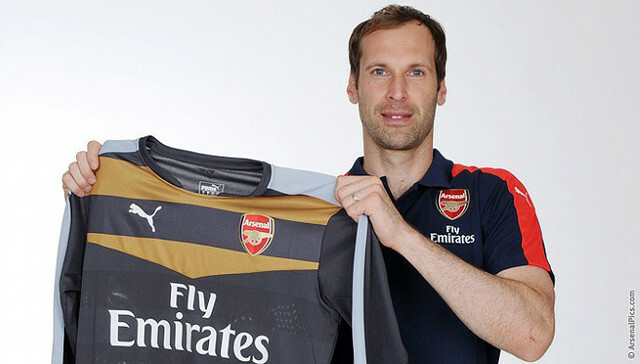 Arsenal have signed Petr Cech from Chelsea in a deal worth about £10m. The Czech Republic goalkeeper, who played more than 400 club games in 11 seasons at Stamford Bridge, has joined the Gunners on a four-year contract. Cech, 33, made only six league appearances last season after losing his place to Belgian Thibaut Courtois. In a letter to Chelsea fans, Cech said he thought he would retire at Stamford Bridge, but added: "Life doesn't always turn out the way you think it will. Last summer, things changed and I understood I was no longer the first-choice keeper, but I felt it was not the right time for me to go. During the season, it became clear that my situation would not improve and - as I know I am not at the stage of my career where I want to be on the bench - I made my decision to move and look for new challenges." Arsenal boss Arsene Wenger said: "Petr Cech is a player I have admired for a long time and I am very pleased he has decided to join us." Cech, Arsenal's first signing of the summer, could face Chelsea as early as 2 August, when the two sides meet in the Community Shield at Wembley. Brazilian midfielder Paulinho has joined Guangzhou Evergrande on a four-year deal from Tottenham Hotspur. The 26-year-old, who moved to Spurs from Corinthians in 2013, cost the Chinese outfit £9.9million. Paulinho will link up with former Samba Boys coach Luis Felipe Scolari at the club. Scolari took over earlier this month on a two-and-a-half-year contract. Guus Hiddink is no longer the coach of the Netherlands after his contract with the Dutch Football Association was terminated by mutual consent. The 68-year-old took over from Louis van Gaal following Holland’s third-place finish at last year’s World Cup, but has won just four of ten matches since, with his side sitting third in the Euro 2016 qualifying group, five points behind group leaders Iceland. In their last game, the Netherlands lost a friendly encounter to USA 4-3 at home, which in the end was their manager’s final game at the helm. Hiddink was apologetic, and wished the team well following his departure. "I'm sorry it went this way," he said. "It was an honour to be coach of the Netherlands again. I wish my successor, the staff and squad the best of luck on their way to the European Championships in France." When Hiddink was first appointed, it was announced that assistant Danny Blind would succeed him after Euro 2016, yet it remains to be seen whether or not Blind will take over immediately or whether a caretaker coach will be brought in. Italian giants AC Milan have made their first big signing for the new season, bringing in Azzurri international Andrea Bertolacci. The 24-year-old was partly owned by capital club AS Roma, who only acquitted full ownership of the midfielder last week, having spent three seasons on loan at Genoa as part of a co-ownership agreement. The Rossoneri had shown interest in the Italian for some time, and paid an estimated €20 million – their third-highest sum for an Italian player after Alessandro Nesta and Mario Balotelli – for his service, securing the player on a four-year-deal. Colombia and Sevilla forward Carlos Bacca is rumoured to be close to joining the seven-time European Cup winners. Sevilla striker Carlos Bacca has confirmed he has agreed personal terms for a move to AC Milan. Bacca, who is also a target for Liverpool, has a buyout clause in his contract that is reported to be set at €30 million. The 28-year-old's agent, Sergio Barila, told Marca at the weekend that the Colombia striker had agreed to join Milan and Bacca himself has now said a move is in place. Hollywood stars Ben Affleck and Matt Damon are on board to produce an upcoming film about Fifa’s worldwide corruption scandal. Warner Bros. won an eight-day bidding war for Houses of Deceit, a book by BuzzFeed investigative reporter Ken Bensinger, which is centred around former Fifa executive and current FBI informant Chuck Blazer. The movie will tell the story of Fifa’s corruption from the perspective of Blazer, who was instrumental in growing the popularity of the sport in the United States before committing large-scale tax evasion and conspiring to accept bribes with other Fifa executives. Gavin O’Connor is set to direct with Anthony Tambakis – who worked with O’Connor on Warrior and Jane Got a Gun – writing the script. Fifa’s self-produced film entitled United Passions – about Sepp Blatter and the formation of Fifa starring Tim Roth and Sam Neill – recently bombed hard at the US box office, netting a pathetic $607 on its opening weekend. Senegal international striker Demba Ba has left Besiktas to join Chinese Super League side Shanghai Shenhua. The former Chelsea, Newcastle and West Ham marksman becomes the second African player to join the Chinese club in the last few days, joining former Liverpool, Juventus and PSG player Mohamed Sissoko. The 30-year-old, who scored 27 goals in 44 appearances for Besiktas in Turkey, signed for in a reported £9.2-million deal. Shenhua is proving to be a popular and lucrative destination for African players in their 30s. Didier Drogba enjoyed a spell stint at the Chinese side in 2012 after claiming the UEFA Champions League trophy with Chelsea. Another high-profile signing for Shenhua was former French international and club journeyman Nicolas Anelka, who played for Shenua in 2012 and also had a stint as player-coach. Brazil coach Dunga says a number of his players were suffering from illness ahead of their Copa America defeat to Paraguay on Saturday night. The five-time World Cup winners were knocked out of the continental showpiece on penalties against last tournament’s runners-up, losing to the same opponents and at the same stage of the competition as the 2011 edition, yet Selecao manager Dunga has revealed that a large part of his squad were not feeling well in the build up to, and during the game. "It's not an excuse, but 15 of our players suffered from a virus this week,” he said at a post-match press conference. “We had to limit some training sessions," Dunga said in his post-match press conference. "Players suffered from a lot of headaches, back pain and illness - some felt it more than others. We had to reduce the intensity of training to try and help them recover. Some of them were vomiting. Willian wasn't feeling well at half-time, and Robinho was suffering in the end." The South American giants lost talisman and captain Neymar earlier in the tournament following his four-match ban, yet the 51-year-old refused to blame the Barcelona forward’s absence as the reason for their early exit from the competition. 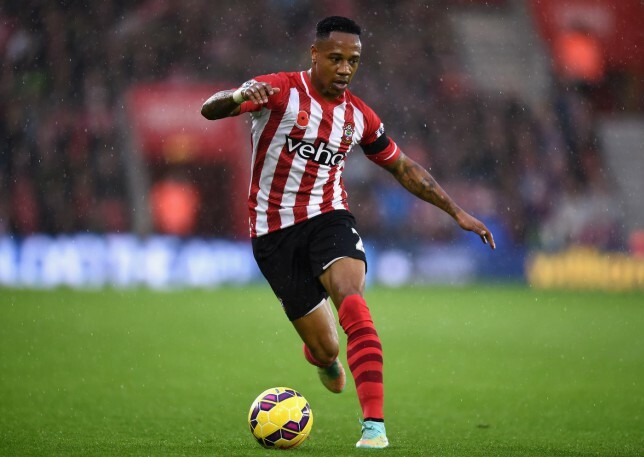 England right-back Clyne had a medical with Liverpool on Monday and will complete the formalities of his £12.5m move from Southampton and five-year contract soon. Clyne joins a parade of new talent that so far features James Milner, Danny Ings, Adam Bogdan, Joe Gomez and Roberto Firmino. But Liverpool's fate could well be determined by how Liverpool boss Rodgers responds to the expected £50m departure of Raheem Sterling to Manchester City. Aston Villa have declared that they will not accept a penny below the £32.5m exit clause that their brilliant Belgian forward Christian Benteke has in his contract. But so far Liverpool have responded by insisting that they will not meet that figure. The prospect remains of Rodgers trying to broker a deal that would involve players in exchange, with Liverpool forwards Rickie Lambert and Fabio Borini two players believed to be available. Yesterday, it also emerged that the Kop outfit could be willing to listen to offers for defensive midfielder Lucas, the Brazilian who has spent eight years on Merseyside but now appears surplus to requirements. 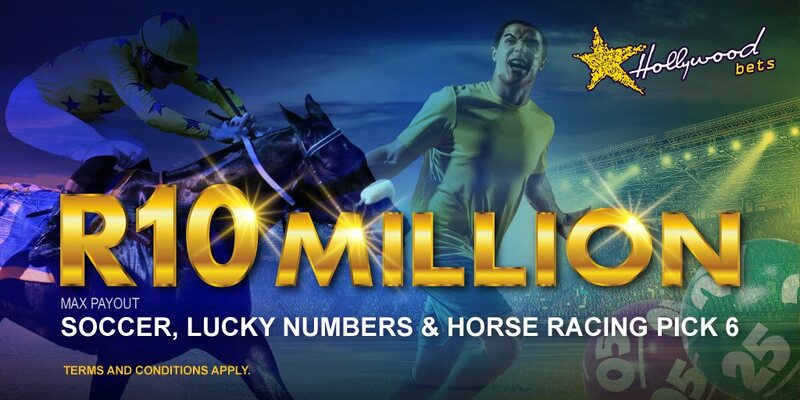 Rodgers is hoping that a combination of cash and players package could tempt Villa boss Tim Sherwood to do business and finally answer Liverpool's year-long quest to replace the goalscorer they lost when Luis Suarez quit for Barcelona. But one piece of business that looks certain to go through is the addition to the Reds' academy of Barcelona teenager Bobby Adekayne. The 16-year-old Nigerian-born winger was raised in Holland and was also wanted by PSV Eindhoven and Ajax when he became available this summer. Adekayne found himself caught in the middle of Barcelona's dispute with Fifa over how the Spanish giants recruited youngsters to their youth set-up. Fifa ruled Adekayne had been signed illegally from Ajax at the age of 12, forcing Barca to loan him to PSV last season. But with the dispute stalled, the player himself has decided to exercise his freedom and move to another club, with Liverpool his destination. Dunga has apologised for comparing the "beating" he receives from his critics to the treatment meted out to Brazilians of African descent. "I have taken so much beating that I even sometimes think I am of African descent," Dunga said at a press conference ahead of his side's Copa America quarter-final with Paraguay on Saturday. Dunga's comment provoked a backlash on social media, prompting the former World Cup-winning midfielder to issue a response. "I apologise to everyone who might feel offended by my statement about people of African descent," Dunga said in a statement. "The way I expressed it does not reflect my feelings and opinions." Argentine striker Carlos Tevez has completed his move to former club Boca Juniors from Juventus. Boca announced the news on Twitter, saying: "#TevezReturnsHome. It's a reality. It's official: Carlos Tevez returns to Boca". The Buenos Aires outfit sent the message during Argentina's Copa America quarter-final clash with Colombia, which went to penalties and was settled by Tevez himself. 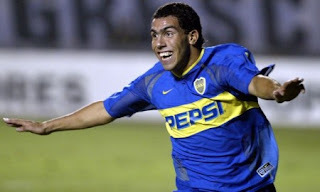 Tevez came through the youth ranks at Boca, playing for the senior team from 2001 to 2004. He then left for Brazilian outfit Corinthians, and later had spells at England's West Ham, Manchester United and Manchester City before moving to Juve in 2013. Tevez shone in Turin, forming a key part of title-winning teams under Antonio Conte and Masssimiliano Allegri. The 31-year-old scored 29 times last season as the Old Lady claimed League and Coppa Italia honours, although they were beaten in the Champions League final by Barcelona. 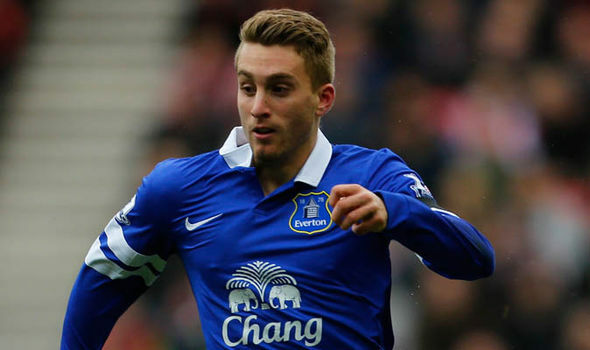 Premier League side Everton have re-signed Spanish striker Gerard Deulofeu from La Liga giants Barcelona. The Barca youth product spent a successful season on loan at Goodison Park in 2013/14, making 29 appearances and scoring three goals, before enduring a torrid time at Sevilla last year, where he spent most of the time on the bench. Yet the English outfit have now re-signed the Spaniard on a three-year deal for a reported £4.3m, much to the delight of coach Roberto Martinez. "We are getting an even more mature player now than he was a couple of seasons ago and a player who considers Everton as home,” the coach told the club’s official website. "This is why we are incredibly excited to have him back here on a permanent basis and to encourage him to grow, develop and mature his enormous talent." The 21-year-old was equally delighted, writing on Twitter: "I'm back! Once a blue, always a blue!" Deulofeu becomes Everton’s second signing of the new season, after Tom Cleverly joined on a free transfer from Manchester United following his successful loan spell at Aston Villa. Napoli insist they will only sell striker Gonzalo Higuain for £66million. Higuain netted 18 goals in Serie A last season, with his team determined to ward off potential suitors. "Napoli are keen to clarify certain articles, published in some newspapers, about the departure of Higuain," a statement by the club read. "The official clarification from Napoli is the following: there is a clause in Gonzalo Higuain's contract. The clause is £66million. There have been no bids. Anyone who wants the player will have to pay the club that amount." Manchester City, AC Milan, Arsenal and Liverpool are rumoured to be interested in the Argentine, who has spent two seasons in Italy since his £28m signing from Real Madrid. Seattle Sounders forward Clint Dempsey has been banned for playing in the US Open Cup for the next two years after tearing up a referee’s notebook. The USA skipper was left incensed at referee Daniel Radford in a Cup encounter against rival club Portland Timbers when a teammate was shown red, as he then flicked the referee’s notebook out of his hand, before picking it up and ripping it to pieces. Dempsey was duly sent off, sarcastically applauding the referee’s decision, as his side eventually finished the game with just seven men, losing the encounter 3-1. Yet Dempsey’s punishment did not end there, as he has now received a ban for six matches or two years from the Cup competition – whichever is longer. The 33-year-old chose not to contest the ban, and took to social media to apologise for his misdemeanour. “I would like to apologize for my actions in the US Open Cup,” he tweeted. Freddie Ljungberg believes Arturo Vidal would be a great signing for Arsenal, who he believes will soon challenge for the Premier League title. 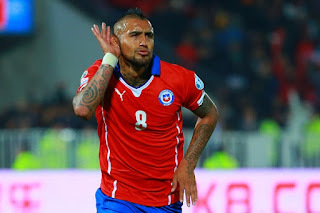 It was reported on Saturday that an unnamed top European club have already agreed a deal to sign Vidal, with widespread speculation since then suggesting the Juventus midfielder is bound for Arsenal. Ljungberg for one is hoping the rumours turn out to be true. "I think the players who are already there are great, but for me I want to see speed," Ljungberg said. "There were some rumours about Vidal, a great player, and he gets fuming if he loses the ball, so I like that. That kind of player would be great for the club. Look at Sanchez. After the World Cup in South Africa I said I wanted us to buy him, when he was at Udinese. He is quality but he also works hard as well. He has speed. When he loses the ball he still fights for it and that’s what I like to see." Former Brazil star Ronaldinho has hailed Liverpool's signing of Roberto Firmino, saying his compatriot could help the club fashion "one of the most exciting midfields in Europe". The Reds have confirmed Firmino's €41m capture, with the 23-year-old joining fellow Samba Boys attacker Philippe Coutinho on Merseyside. Firmino scored 10 goals and provided 12 assists for Bundesliga outfit Hoffenheim last season, while he is impressing at the ongoing Copa America in Chile. "For Liverpool to have Coutinho and Firmino is a big achievement for them," Ronaldinho said. "It is going to give them one of the most exciting midfields in Europe. The creativity, intelligence and goals they have between them can change Liverpool as a team. It is a big sign of intent. Those two in midfield gives them a big chance to qualify for the Champions League next season. It is a dream for the Liverpool strikers to have that sort of service. If you can’t score goals in a team with Coutinho and Firmino in midfield then you won't score goals in any team. They will create so many chances." Bayern Munich coach Pep Guardiola says he yearns “to be loved” rather than looking for titles. The former Barcelona boss has won two consecutive Bundesliga titles since joining the German club two years ago, yet has fallen short in continental competition, losing to former club and eventual champions Barcelona in the semi-finals this past season. Yet the Spanish tactician has revealed that he seeks affection from others in his job, rather than being rewarded with trophies. "If you want to know what I want in life and from my work, I want to be loved, I do not seek more,” he said while speaking at a lecture on leadership. “That's what I want, that's a feeling. Really, I'm not looking for titles." Guardiola then explained the negative psychological affect benching a player has on their performances. "If you have to leave players out there, they are offended because they think that I do not like them," he said. "They do not think that these are decisions for tactical reasons, but because they are not loved." The 44-year-old re-iterated the importance of the mental aspect of the game, revealing a time when he took an unnamed star player to a cafe to help him with off-the-field issues which then helped his performances on the pitch. "I went with him to a cafe and we talked about life, not about football,” Pep revealed. "In the next game he scored two of the four goals our team scored. He felt something special, because he felt loved." Arda Turan's agent, Ahmet Bulut, has said that the next chapter in the Turkish player's future will be finalised in the coming days, admitting that his decision to leave has come as a bolt out of the blue for Atletico Madrid. "We will not make a formal announcement until he signs. 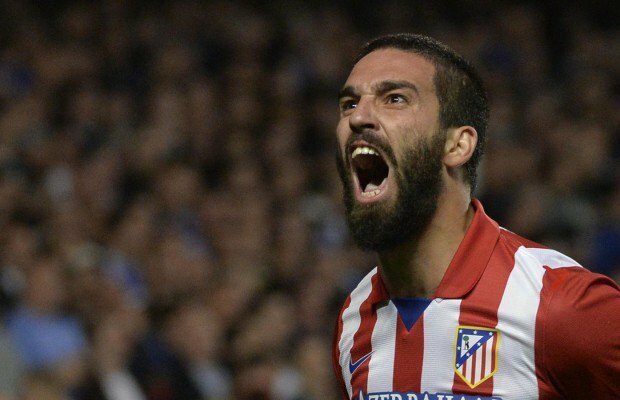 Arda will decide where he wants to play next season in the next four days", Bulut said on Monday. "Our decision to leave Atletico was a big shock to them, they didn't want Arda to go", he added. "When we sat down to look at the plan for Arda's career and thought about what he had gained at Atletico over the four years we came to the conclusion that leaving Atletico was the right thing to do", Bulut revealed. Chelsea, Barcelona and Manchester United are three of the clubs being tipped as possible new destinations for Arda Turan. Pepe Reina has joined Napoli on a free transfer after being released by Bayern Munich. The 32-year-old Spanish World Cup winner only joined the German champions on a three-year deal at the start of 2014/15, having been deemed surplus to requirements. However, he only made three appearances, prompting a permanent move to the Italian club where he had a successful loan spell in 2013/14. "Pepe Reina has asked us to release him from his contract because he wants to sign for Napoli where he will have the chance to play as a goalkeeper on a regular basis," Bayern deputy-chairman Jan-Christian Dreesen told the club's website. "Reina has fitted into our team in sporting – and above all human – terms so we more than happy to comply with his request. We wish Pepe and his family all the best for the future." Rivaldo has come out of retirement to help his struggling Mogi Mirim team. The Brazilian legend, now 43, called time on his illustrious career in March last year, but the struggles of Mogi Mirim, where he is the club president, has forced him to take drastic measures. They are currently bottom of the Brazilian Serie B, having managed just three points in eight games! Rivaldo, who starred for the likes of AC Milan and Barcelona, told his club’s website: "After much thought and analysing the pros and cons, I have decided to join the team of Mogi Mirim. I believe that training daily with the team, and with my experience, we will get through this complicated moment we are living. I know that once again I will sacrifice my family for the sake of the club, but I hope soon to see our team in a more honourable position in the competition. I want my decision to help the players out of this bad phase, because I believe that our team should not be fighting against relegation. We as a team should at least be vying for the middle of the table. I repeat that I am not coming back to play regularly, but as I am an athlete with a current contract, I want to help the players come out of this complicated situation. I stopped playing professionally 15 months ago, and if my knee is fine, I can even help in some games, but the training will help me decide." 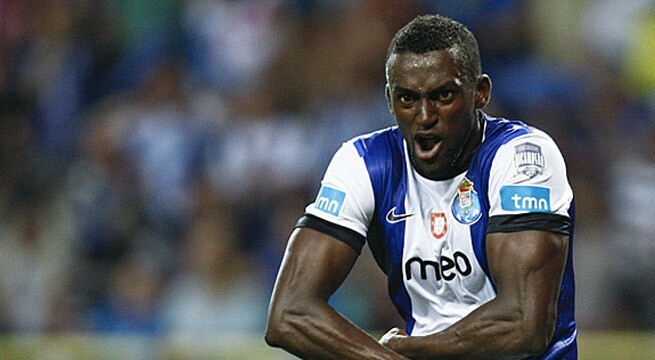 Porto striker Jackson Martinez has confirmed he will join Atletico Madrid after rejecting an offer from AC Milan. The Colombian, who has a £24.8m release clause, has agreed to a four-year deal with the La Liga outfit. Martinez, 28, had previously looked destined to join Milan earlier in the summer but the deal collapsed. "I can confirm I am going to Atletico," said Martinez after his country's Copa America defeat to Argentina in Vina del Mar on Friday night. "I am going there for four years, but I still don’t know when I will be introduced. It’s all ready. I’m going to enjoy spending some time with my family for now and then travel to Spain to introduce myself to my new club. I'm very excited about taking this step with Atletico Madrid. It’s a new challenge in my career and I hope things turn out very well for me there. I’m joining with the promise of contributing to ensure the club follows their evolution." The younger brother of Chelsea star Eden Hazard has laid down the gauntlet to the Blues star, insisting he will prove “who the better Hazard is”. Thorgan Hazard spent last season on loan at Bundesliga side Borussia Monchengladbach, before recently securing a permanent €8 million move to the German club. And having finished third in the German league standings last season, Gladbach will be competing in the Champions League this season, where Hazard junior hopes to meet his older brother. "My desire is for Chelsea to be among Gladbach's Champions League opponents this campaign," the 22-year-old said. "I've never played against my brother Eden competitively, that would be a great thing for our whole family. Then we can see who the better Hazard is!" he added, laughing.” The attacking midfielder made 41 appearances for Gladbach last term, scoring five goals and assisting 10, yet only started seven league matches, and hopes his versatility will help secure more game-time in the 2015/16 season. "The No.10 position is my best position, but I do not know how the coach plans to play me," he said. "I have shown that I can also play on the wing. I learned a lot last season, I think I became a better player. I was able to play in one of the strongest leagues in the world. Of course, I hope that next season I will play a bit more, but I know that the competition for places is huge. This is normal at a big club. I will work hard and have to play well to assert myself." Ronaldinho has agreed to join newly-promoted Turkish side Antalyaspor and join up with former Barcelona team-mate Samuel Eto'o. President Gultekin Gencer says the club and the Brazilian legend, 35, have agreed personal terms and the deal should be completed this week. 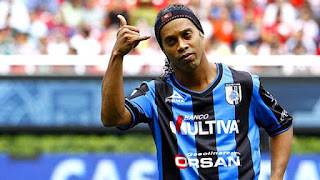 Ronaldinho, who cancelled his contract with Mexican side Queretaro to help push through the move, will team up with Cameroon striker Eto'o. The pair enjoyed a successful spell together at Barcelona, winning the league and cup as well as the 2006 Champions League. George Leekens has ended his contract as coach of Tunisia after not being paid promised bonuses, he told reporters on Monday. The 66-year-old Belgian had been in the job for just over a year and took Tunisia to the African Nations Cup quarter-finals earlier this year. He oversaw the country beating Djibouti 8-1 a fortnight ago at the start of the 2017 Nations Cup qualifiers. “An amicable separation without any financial liability to Leekens or the federation was agreed. A new foreign coach will be employed and contacts have commenced,” a statement from the Tunisian Football Federation said. Leekens refuted suggestions his departure came as a result of Friday’s attack on foreigners on a beach in Sousse, where there was a Belgian among the victims. “Some people think I resigned because of the terror attack but that is not so. It has nothing to do with the attack. I am not fleeing!” he said. 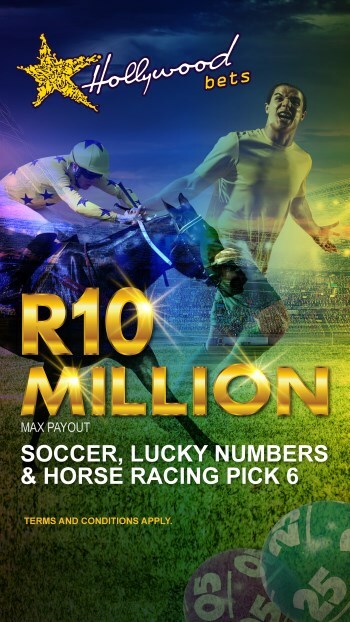 There was a difference of opinion between the federation and myself about the bonuses from the Nations Cup. Four months after the tournament we still haven’t been paid.” Leekens had signed a two-year contract in March last year with the Tunisians. He had previously coached Belgium in two separate spells, first leading them to the 1998 World Cup and then taking charge again from 2010 to 2012. His second departure was sudden to take over at Club Brugge. Leekens was also briefly coach of Algeria for six games in 2003. Chile defender Gonzalo Jara has had his three-match ban reduced to two on appeal, yet will still miss the final of this year’s Copa America. The 29-year-old initially received a three-match ban for his provocations on Uruguay striker Edinson Cavani in their quarter-final victory last week, which saw the PSG forward receive his marching orders for his reaction to the incident. A review committee had initially banned Jara for three matches, yet the Chilean Football Association then appealed the length of the ban, which has now been reduced to two matches. The Mainz defender will still be unavailable for Saturday’s Copa Final, but can mark his return after the tournament when Chile begin their qualifying campaign for the 2018 World Cup, to be held in Russia. This is not the first time he has been involved in such an incident, provoking Luis Suarez in similar fashion in a 2014 World Cup qualifier, with Suarez being sent off for punching Jara in the face. Following the incident, Jara’s German club Mainz announced they would be prepared to release the defender, condemning his actions on the pitch. "We do not tolerate that,” the club's sporting director Christian Heidel told Bild. “What makes me more angry than the prod, however, is what happens after. There is nothing I hate more than theatrics. He knows that if an offer comes in, he can go." Former Manchester United defender Phil Neville has been announced as the new assistant manager at La Liga side Valencia. The 38-year-old, who worked under David Moyes during his tenure in charge at Old Trafford, will now work alongside Valencia head coach Nuno Espirito Santo, who guided the Spanish club to a fourth-place finish in the League last season. Nuno revealed his delight in the appointment of the club's new number two. "Phil Neville has great experience at the top level of competition, but above all he has knowledge and values that fit perfectly with our team and our club,” the 41-year-old said. "He has always been a team player, and our philosophy is based on teamwork. We are - and want to continue to be - a group. I am convinced that he is going to help us a lot." Neville made 386 appearances for United before joining Everton in 2005, winning the Champions League, six Premier League titles and three FA Cups at Old Trafford. He was also capped 59 times for England.